A spectator selects a card, and you find it. At its simplest, the spectator's card can be discovered on the top of the deck. Or you can use any "reveal" that you wish, from simply showing the spectator's selected card to the "rising card" effect. 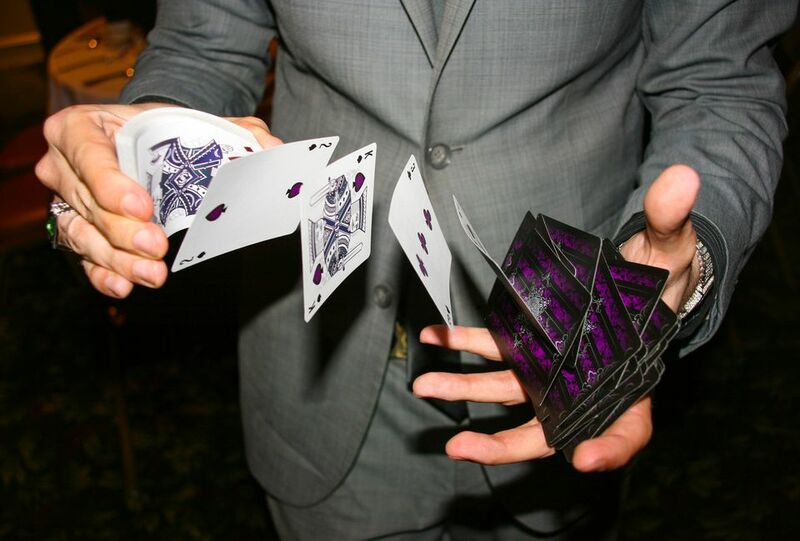 The setup for this trick is incredibly simple and holds the secret to pulling off this magic trick. If you like, have a spectator shuffle the cards. Hold the deck so it is facing the spectators and its back is towards you. Pull the second, third, and fourth cards out from the back of the deck so they are fanned out for the spectators to see above the deck. Allow the top card to remain in place in the back of the deck. This extra card is the secret! The spectators don't know it's there, so don't move your fingers or turn the deck. From the front of the deck, the spectators will see the face of one full card and a fan of the three cards you pulled from the deck on top. Now it's time for the magic to begin. Display the cards. Remember, you are secretly holding an extra card behind the others that are fanned at the back of the deck. The apparent first fanned card (which is really the second card in the deck) is designated "one." The apparent second fanned card (which is the third card) is designated "two." The apparent third fanned card (which is the fourth card) is designated "three." Ask the spectator to remember their card based on the number. You then gather the cards on top of the deck, keeping the secret first card on top. If the spectator selected "one": You count "one" and, without showing it, take the top card and shove it into the middle of the deck, seemingly losing it. Move to the next step and "find" their card. If the spectator selected "two": You count "one" and move the top card into the middle of the deck. Count "two" and move the next card into the middle of the deck. Move to the next step and "find" their card. If the spectator selected "three": You count "one" and move the top card into the middle of the deck. Count "two" and move the next card into the middle of the deck. Count "three" and move the next card into the middle of the deck. Move to the next step and "find" their card. What the spectator doesn't know is that their selected card is now on the top of the deck. 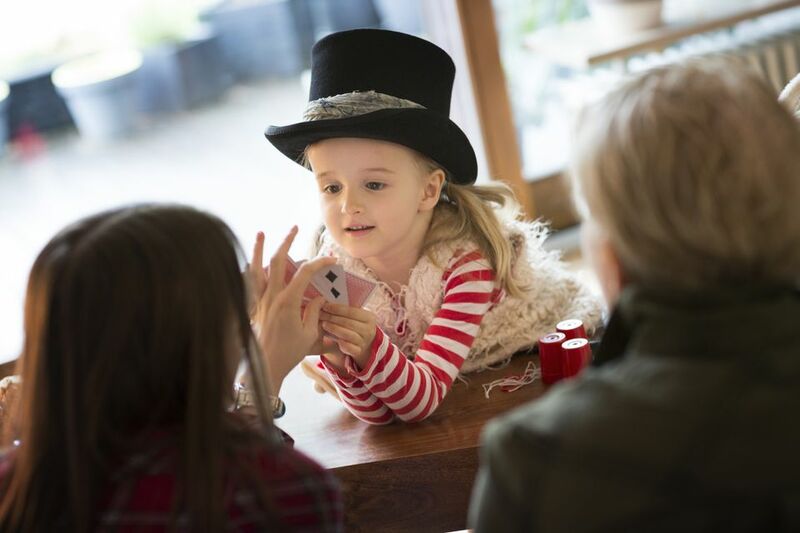 At this point, with the spectator's card on top of the deck, you can utter a magic word or wave your hand and show that their card has mysteriously risen to the top of the deck. Whatever you choose, be dramatic!